Blog 5 Reasons Wedding Flowers Are Worth It! 5 Reasons Wedding Flowers Are Worth It! Wedding Flowers Are Worth It! Amazing advice and top tips from our awesome Dream Team Florists, The Topiary Tree. A passionate team of talented individuals who love what they do and the impact their sensational wedding flowers have on your big day. 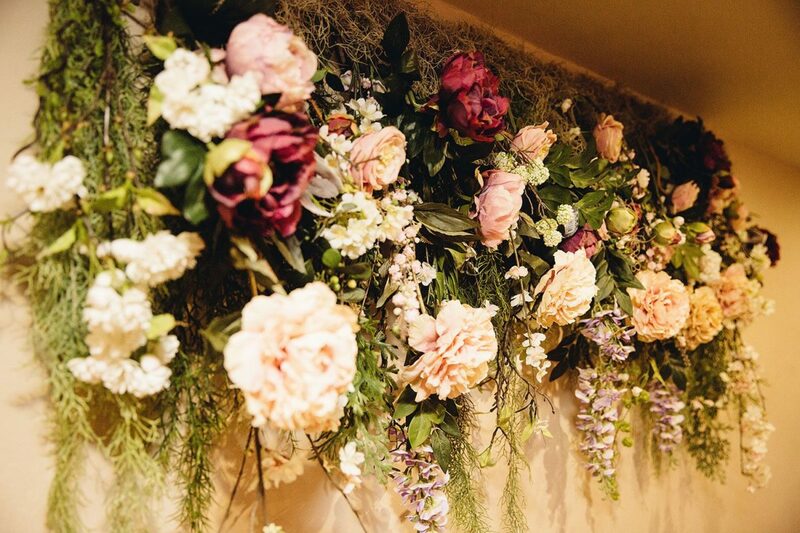 We are totally in love with their floral artistry and wholeheartedly agree that wedding flowers are worth it! Gone are the days of DIY flowers for weddings and thank goodness the tide is finally turning! It’s time to value the art of floral design. Popular wedding planning tools still suggest allocating only a small portion (8-10%) of your wedding budget towards this reviving art. What do we say? Ditch the percentages and go with a budget that ensures stunning and impactful floral designs in all the major spaces at your wedding. 1. It’s Your Big Day! This one seems like a no-brainer, but we will just say it: it’s the most important day of your life! Getting married is one of the most important life decisions you’ll make. You’re inviting loved ones, friends and family to celebrate this momentous day with you and we think you should go all out on your celebrations! Beautifully designed flowers are a key part of setting the tone and enriching the atmosphere on your big day. If you’re going all out on the gorgeous gown, flawless hair and makeup, ‘to die for’ shoes, don’t underestimate how much added wow factor your flowers will bring to your bridal look. 2. Flowers Make Your Photos Pop! Great floral designs at your wedding will MAKE your wedding photos. Why hire a bomb photographer and then skimp on flowers? These images will be the lasting memory and the keepsake that recalls this very important day. They don’t seem like such a frivolous expense when they become a part of the imagery of your wedding day to be remembered the rest of your life. Great floral designs often brings al the different elements of your wedding design together! Say you have 5 wedding colors that you want to bring together on your wedding day. You can’t depend on linens and bridesmaid dresses to highlight all these colors for you without it looking a lot like a circus. Flowers can bring your vision together in a classic, beautiful way. 4. Flowers Make People Smile! People LOVE flowers. If you take the plunge and spurge a bit more than you’d planned on your wedding flowers with a trustworthy florist who knows her/his stuff, trust me, you will be applauded for your decision. We hear from brides all the time that ‘EVERYONE couldn’t stop talking, commenting, ooohing and ahhing over the flowers’. We even hear from other vendors how beautiful the flowers are. Photographers love taking extra photos of them. Grandparents love pillaging arrangements at the end of the evening, and your bridesmaids won’t stop squealing when their bouquets arrive. Flowers evoke joy, celebration, and sacredness. And who wouldn’t those qualities infused into their day? 5. Leave it To The Pros! Don’t even think about adding DIY flowers to your wedding To Do List. You’ll have enough to do on the run up to your wedding without adding the stress of locating, storing, transporting and arranging fresh flowers! Let us do what we do best, we promise you won’t regret it! Thanks to Stott Weddings for the beautiful photos of The Topiary Tree’s stunning wedding flowers.